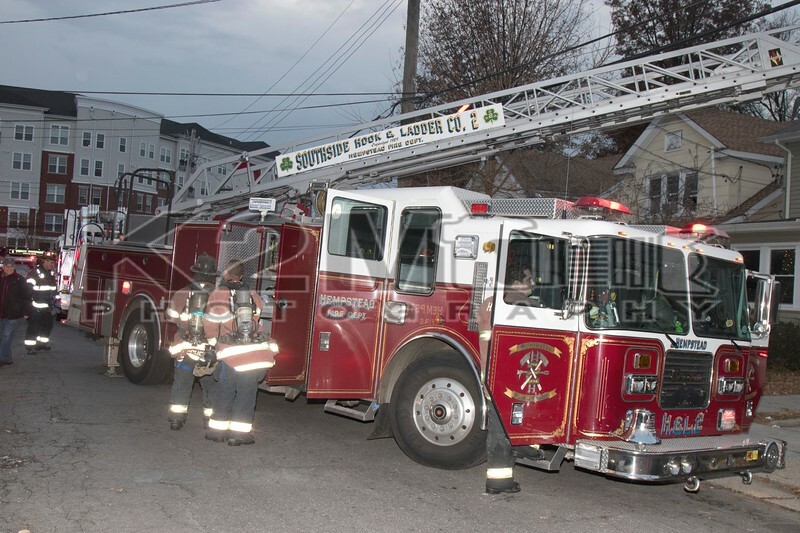 Late on the afternoon of Saturday, December 1st, 2018 the Hempstead Fire Department was called to a house fire on Stowe Place off Main Street. When firefighters arrived on scene, they were met with smoke showing from the basement of a private dwelling. Moments later the working fire was transmitted after firefighters found a dryer fire with extension in the basement of the home. Two hand lines were stretched with one line put into operation. West Hempstead, Rockville Centre, Lakeview, and South Hempstead were among the departments called for mutual aid. All fire department units were under the command of Hempstead Chief of Department Giardino . Click here to see the rest of the images from K2M Photography’s gallery, Stowe Place [12-1-18].